Bournemouth University has been working on a small research project with Pourakhi, a voluntary organisation which helps female migrant workers returning to Nepal, for over a year. Pourakhi advocates for the rights of women migrant workers. Last week they invited me to present a workshop session on Academic Writing & Publishing, this morning I run such workshop. The content of the workshop is based on years of experience of running similar workshops at Bournemouth University, many Higher Education colleges across Nepal and a COST-funded workshop in Malta a few years ago. The eight people (staff and volunteers) who attended the workshop were generally inquisitive and keen to get their work into print. Most of the paper we have written about aspects of academic writing and the publishing process have been published in Open Access journals. 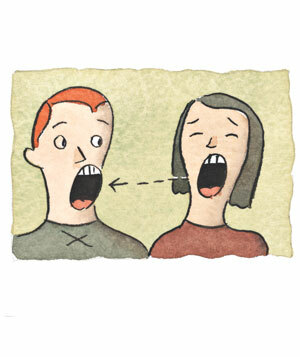 [1-8] Therefore, we can easily give workshop attendees copies and/or give them the links to the online version on the web. Pitchforth E, Porter M, Teijlingen van E, et al. (2005) Writing up & presenting qualitative research in family planning & reproductive health care, J Fam Plann Reprod Health Care 31(2): 132-135.
van Teijlingen, E., Ireland, J., Hundley, V., Simkhada, P., Sathian, B. (2014) Finding the right title for your article: Advice for academic authors, Nepal J Epidemiol 4(1): 344-347.
van Teijlingen, E., Hundley, V., Bick, D. (2014) Who should be an author on your academic paper? Midwifery 30: 385-386.
van Teijlingen, E, Simkhada PP, Rizyal A (2012) Submitting a paper to an academic peer-reviewed journal, where to start? (Guest Editorial) Health Renaissance 10 (1): 1-4. Hall, J., Hundley, V., van Teijlingen, E. (2015) The journal editor: friend or foe? Women & Birth 28(2): e26-e29. We had the honour to speak to Parliamentarians (MPs) in Kathmandu today (December 29th) as part of workshop to promote evidence-based policy-making. 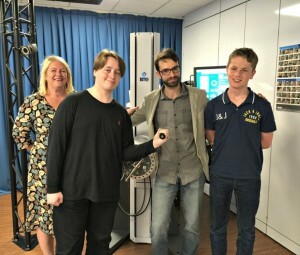 The workshop was organised by a consortium of three UK universities: Liverpool John Moores University (LJMU), Bournemouth University and the University of Sheffield. 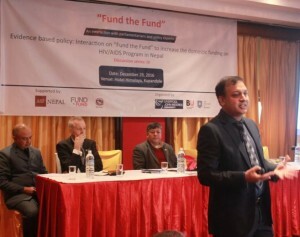 Fund the Fund supported this Advocacy Workshop with Parliamentarians and Policy Experts on HV and AIDS (Discussion series IV) in the Himalayan Hotel in Lalitpur in Kathmandu Valley. The workshop was attended by some 30 MPs from all major parties and three or four former ministers. The drive to increase evidence-based policy-making in Nepal is led by Dr. Gangalal Tuladhar MP. Prof. Padam Simkhada from LJMU and BU Visiting Professor addressed ‘key challenges on evidence-based health care delivery in Nepal’ and Prof. Edwin van Teijlingen from the Faculty of Health & Social Sciences compared selected different health-care systems in high-income countries. Don’t miss our drop-in sessions where we can offer you support in planning your event for Festival of Learning 2017. Our next session is on Thursday 1 December and we’ll be there for you from 8:30am-5pm at Talbot Campus, FG19. Come to see us and don’t miss out on the opportunity to share your research and expertise by being a part of the Festival! We’re hoping to see you there. Our next session is on Thursday 24 November and we’ll be there for you from 11am-12pm at Naked Coffee Shop (next to RLH, Lansdowne). The Bournemouth University Civic Media Hub is hosting a series of ‘Innovation Lunches’ with invited guests from institutions across the UK. Bringing together BU faculty, PGR and UG students from different faculties and areas of expertise, the innovation lunches offer time to discuss new methodological practices and share interdisciplinary approaches to questions around data, digital media and society. With the aim of fostering collaborations for future grant bidding and strengthening our interdisciplinary connections, innovation lunches foster a space for inspiring research. As algorithms tell us what we want to watch and predict the years we have left to live, few aspects of our social, cultural and economic lives are left untouched from data processes. Despite popular claims, this datification of society is never neutral. What does it look like to study data as emerging sets of power relations? How can we approach algorithms as social processes? Join us for an interdisciplinary discussion on methods for investigating algorithms and data processes. Bio: Dr Lina Dencik is Senior Lecturer and Director of the MA in Journalism, Media and Communication in the School of Journalism, Media and Cultural Studies at Cardiff University, UK. Her research is concerned with the interplay between media developments and social and political change, with a particular focus on globalization and resistance. She has recently been working on issues relating to surveillance, visibility, and the politics of data. Her most recent book is Critical Perspectives on Social Media and Protest: Between Control and Emancipation (co-edited with Oliver Leistert, Rowman & Littlefield International, 2015). Our next session is on Wednesday 23 November and we’ll be there for you from 2pm-3pm at Poole House Atriume. 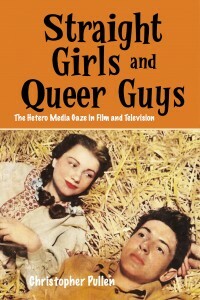 I just wanted to share some good news, I have just found out from Edinburgh University Press that just after a few months of the hardback release of my book Straight Girls and Queer Guys: The Hetero Media Gaze in Film and Television (that was written while on study leave, funded by Fusion) that they are going to bring it out in paperback. As we all know getting your academic book published in paperback is not necessarily an easy task. Many publishers want to publish in hardback as the first edition, as this achieves a higher value of sales when offering the books to libraries. Also I have to confess myself that a hardback edition often is a handsome prospect, as the product may well last longer, and you can put in a place of pride on your bookshelf collection. That said, a paperback edition is very desirable, as students might be able to afford their own copy, and maybe general audiences might take interest. Some publishers leave it a while before they will consider the prospect of a paperback edition. For example my second book Gay Identity, New Storytelling and The Media originally came out in hardback edition, and it took almost three years before they considered a paperback edition. This however was not an easy prospect, I had to argue why the book should come out in paperback, including collating reviews that were made of the book, and also finding lecturers and teachers that were using the book in university or schools, and then presenting affidavits. At the same time sometimes you do get a paperback edition as a first edition. I was fortunate that my first book (way back in 2007) Documenting Gay Men, Identity and Performance in Reality Television and Documentary Film did actually come out in paperback, and I remember the excitement in seeing a copy of my very first book in this form, thinking of high sales and a wide readership. Whilst this book might not have achieved the attention that I thought it would, I am very excited that it seems to be used widely in education, as every now and then I get payments for photocopying use of that very book from the publishers themselves. Roll on a few years, and some eight books later, which includes my most recent book Pedro Zamora, Sexuality and AIDS Education: The Autobiographical Self, Activism and The Real World which I understand may well come out in paperback, often it is hard to come to terms with expectations in publishing form/output. For example one of my main concerns, rightly or wrongly, is that I possibly over value the notion of the ‘hard copy’ over the E-Book. Also I do see a return to the hard copy, particularly evident if you go into HMV (or even some supermarkets) and you see the proliferation of Vinyl. From Taylor Swift and One Directon to Daft Punk, contemporary popular music artists are revisiting this wonderful hardcopy form. Concerning academic books, probably the best compromise is having both the prestigious hardcopy (hardback) alongside the affordable hardcopy (paperback), working alongside the virtual copy (E-book). This meets expectations and pleasures in cultural form – which maybe connects to nostalgia, at the same time keeping an eye on a changing word, that thrives on access and sharing. Our next session is on Tuesday 15 November and we’ll be there for you from 4pm-5pm at Executive Business Centre Cafe. Our next session is on Monday 14 November and we’ll be there for you from 8:30am-10am at Fusion Building – coffee area. Our next session is on Friday 11 November and we’ll be there for you from 12:30pm-1:30pm at EB204, Executive Business Centre. If you are still searching for some inspiration for Festival of Learning 2017, you can find our previous blog post here with some suggestions for engaging events. But most importantly, make sure you come along to one of our drop-in ‘Support for developing your idea sessions’ and talk to us! Additionally, we’re also offering a bookable training session for you to find out more about ‘Developing a public engagement event’. Please book your place via OD. You may have already planned your event and now looking for ways of making it more appealing to members of the public. Regardless of the stage of event planning that you are at, we have a few extra ideas to give your event a boost! What percentage of genes do we share with a cabbage? What percentage of genes do we share with bananas? You may be surprised to know that humans share 50% of genes with bananas and 45% with cabbage. During this presentation Bernd Kulessa and Suzanne Bevan shared their tales from ten years of working in Antarctica. To give the audience a better idea of what life in the frozen wilderness looks like, the academics used not only photographs, but also 3D google maps. The maps show all of the stops they made on the journey to Antarctica, which not only added different dimension to the talk but also made it more personal. How do you track whales diving deep underwater or birds flying high above us? Rory Wilson has developed pioneering electronic tags that allow researchers to monitor movement, behaviour, energy exposure, temperature and feeding patterns of hard-to-observe animals. Sounds interesting, but how do you translate these readings in simplified language to ensure your audience stays engaged? 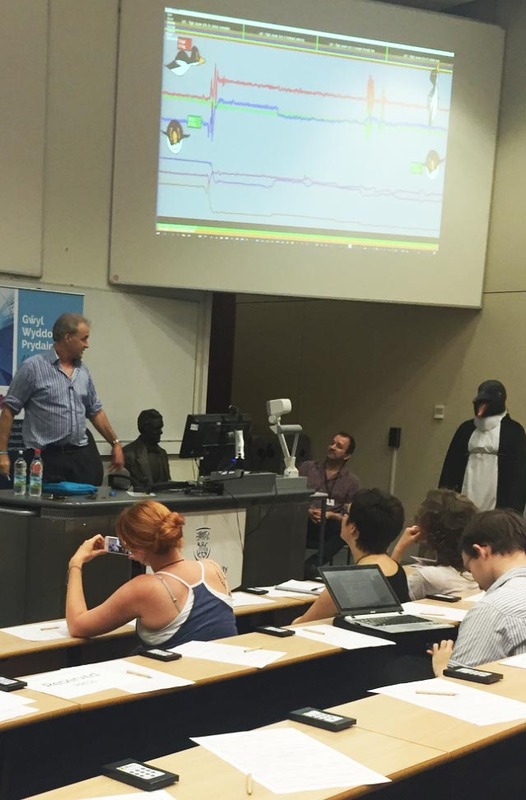 You simply organise for someone in penguin costume to copy the movement readings of actual penguin, while planking on a chair! These events took place as part of the British Science Festival in Swansea, 2016. With the call for proposals being open for Festival of Learning 2017, today we have for you another post to give you some inspiration for the type of the event that could be your own! Planning your event can be difficult and time consuming, especially if you have never done anything quite like that before and because of that we are here to help! Make sure to come to one of our drop-in ‘Support for developing your idea sessions’ and talk to us. Next session is on Friday 11 November, 12:30pm-1:30pm at EB204, Executive Business Centre. Additionally we also offer bookable training session for you to learn all about ‘Developing a public engagement event’. What you research often determines how you will engage with the public and who your work will impact, but there are ways to broaden your impact. This can be done by bringing different academics into one room. Anything can happen when two separate disciplines are being combined together and quite often this can be a simple recipe for an effective public engagement event too! British Science Festival in Swansea featured many creative and fun events and one of them was an interactive drawing workshop Making Science Graphic. The event used graphic novels, which can capture the imagination with imaginative narrative and vivid drawings, as a useful vehicle for talking about science. Neuroscience is not the easiest discipline to be sharing with the public without having to use too many scientific terms but two neuroscientists Uta Frith and Chris Frith managed to do just that in a fun way. They first explained what the mirror neurons are and took their audience on fascinating journey through human brain to then let graphic novel enthusiast Adam Rutherford and artist Daniel Locke translate it into graphic novel. Spoiled for choice by a wide variety of drawing mediums, the audience was encouraged to put their skills into practice and design their own little graphic novel about mirror neurons. Both artists observed the process, talked to the attendees and offered some guidance. Probably the only reason why I still remember what mirror neurons are is because I got to draw them and this was actually a very first novel graphic I ever designed. Our next session is on Thursday 27 October and we’ll be there for you from 11am – 12pm at Naked Coffee Shop (next to RLH, Lansdowne). Don’t forget to book your place on our Developing a public engagement event, which is going to focus specifically on developing a public engagement event. Don’t miss out on the opportunity to share your research and expertise by being a part of the Festival! Find out more and book your place via Organisation Development here. With the call for proposals now open for Festival of Learning 2017, we want you to get involved. Why? There are many benefits of taking part, as the festival is an excellent opportunity to showcase your research and gain valuable feedback from members of the public. In a previous post we shared the idea of an audience-led event, which you can find here. This time we want to show you that public engagement events can also be artistic and creative. At the British Science Festival 2016 in Swansea, Moonbrella was one of a number of interactive, drop-in sessions incorporated into an event called Creatures of the night. This took place in Plantasia – a tropical haven of exotic plants and animals. The location was unique in itself, but Moonbrella really stole the show. Despite the fact that over 150 craters on the moon are named after real scientists, only 28 are named after women. Moonbrella showcases research through poetry, allowing participants to celebrate these inspirational women. 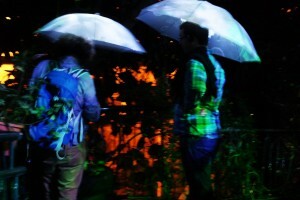 At Creatures of the night, event attendees walked through the tropical garden, and as they began to climb towards the top of the dome they were given a ‘Moonbrella’ – a glowing umbrella. This owed its unusual properties to battery powered fairy lights attached inside. Additionally, there were some graphics of the scientists, and an mp3 player and headphones, which were carefully taped to the umbrella. The audience walked under the Moonbrellas, popped on their headphones and listened to poetry about a female scientist as they wandered through the tropical garden. Each Moonbrella celebrated a different scientist, and Moonbrellas could be swapped to hear about another scientist. Visually, this looked fantastic under the night sky, as the umbrellas lit up the paths between the tropical plants and for a minute it felt like you weren’t in Swansea anymore. Moonbrella is just one of many creative ways to showcase your research through the arts! Now grab a few colouring pencils, scissors and some tape and get creative! We hope to hear more about your own amazing ideas at one of our drop-in sessions.